The Red Birds bring a modern touch to jazz standards. In addition to their arrangements, they perform their own compositions. 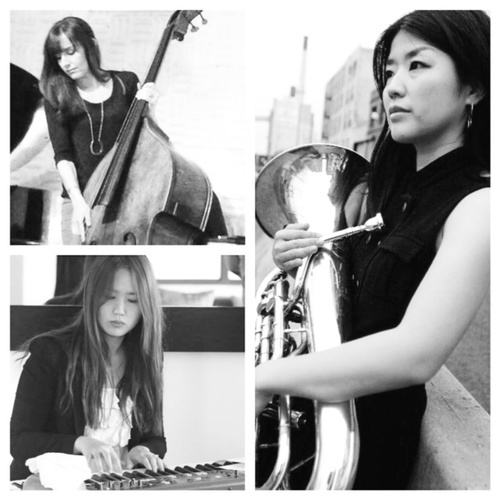 With Yasuno Katsuki at the helm on vocals and euphonium, Hyuna Park on piano, and Tina Lama on bass, this group offers a fresh approach to a time-honored tradition. Collectively, members of The Red Birds have performed with Vincent Herring, Danilo Perez, Adam Cruz, Jimmy Heath, Claudio Roditi, A Tribe Called Quest, and Lonnie Plaxico. Join us at the Inkwell Jazz Cafe, 408 Rogers Ave between Lefferts & Sterling. Food and drinks available; always a great atmosphere. For more information on individual members, and the band, visit www.redbirdsjazz.com.